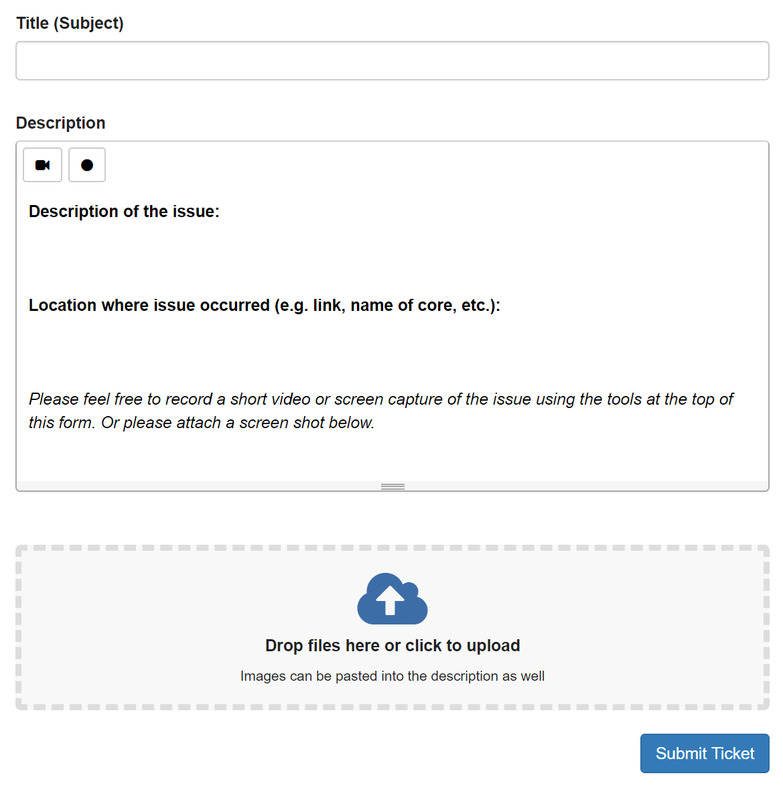 Submit a ticket: Submit a ticket directly in our ticketing system (see below). The Subject field should contain relevant information briefly describing the issue or request. The Description should contain detailed pertinent information describing the nature of the request, to enable our Support staff to quickly evaluate your request. You may add a screen recording to your ticket by clicking the circle “Record” button. This will allow you to record your screen, as well as to optionally narrate with your voice, to show exactly what questions or issues you may have. The recording will be embedded directly in the ticket, and has a maximum of 5 minutes. The first time you use screen recording, you will be prompted to install a browser extension. To add attachments, just click on ‘Drop files here or click to upload’ button and navigate to the required file and upload it into the ticket. You may drag and drop to this space as well, and attach multiple files. Once have have completed the form, click on "Submit Ticket". You will receive an e-mail notification with your ticket number, and you will be updated by e-mail of all responses to your ticket. Ticket filter: By default, you will see all of your open tickets. However, you can also choose to review your closed tickets or all tickets. 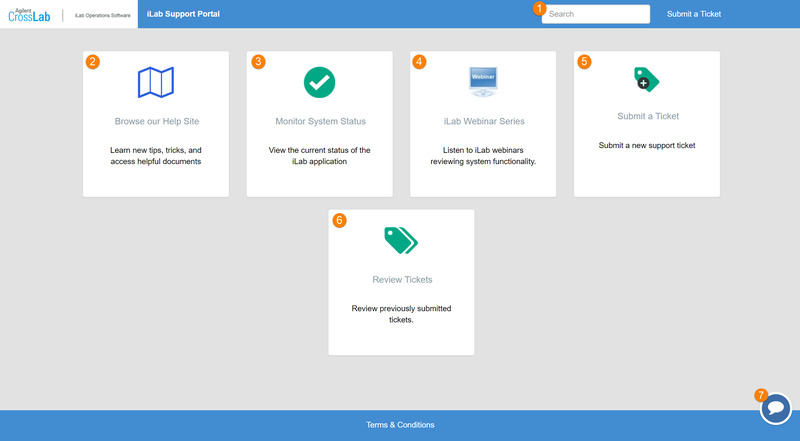 If you are an Institutional Administrator, you will also see options to view all open tickets and closed tickets across your entire organization (i.e. tickets submitted by all other users at your institution). Ticket list: Show all the tickets based on the applied filter criteria. Click on the ticket name or number to review the detailed ticket status and history. Note that issues submitted by e-mail will create a ticket in the same ticketing system, so you can later review and update the status from the support portal. 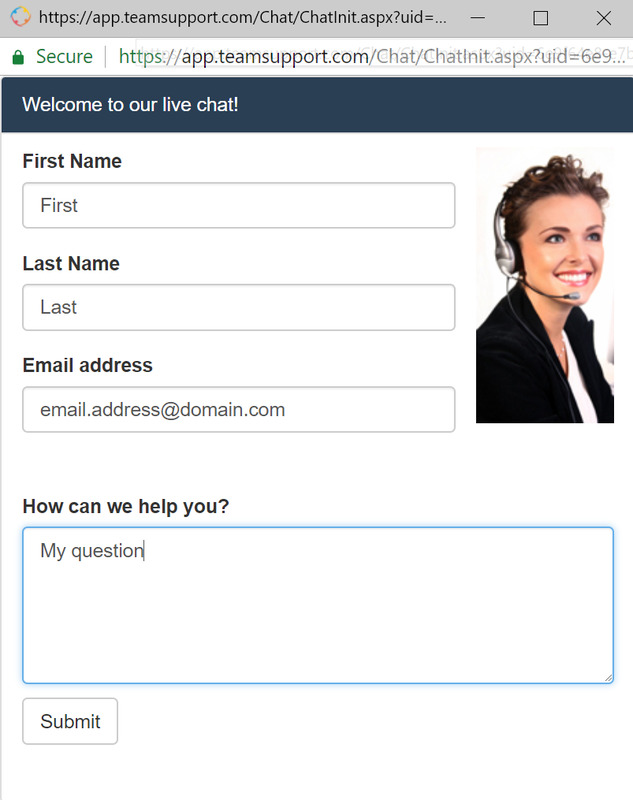 From the bottom-right of the support portal, you can initiate a chat session with a support agent. The form should typically be pre-populated with your contact information. Complete the "How can we help you?" section and click submit to be connect with the first available agent.